There are those recipes that you just want to make over and over again, am I right? 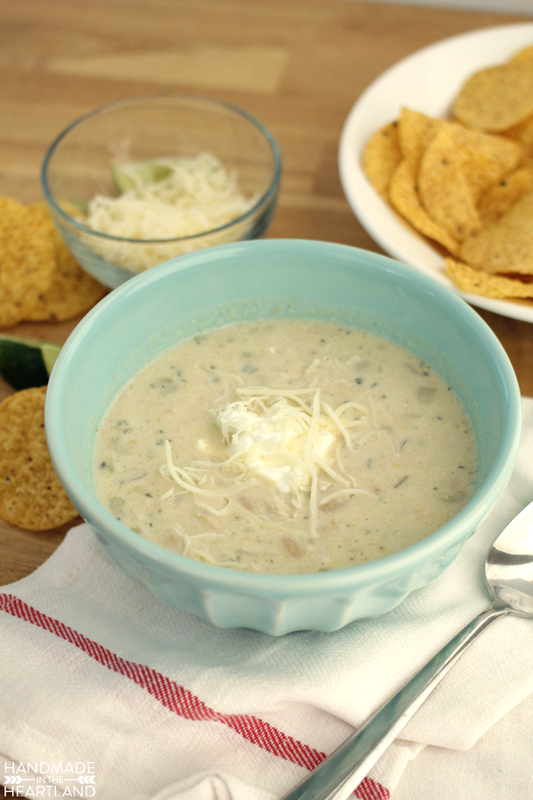 I’m always happy when fall comes around and soup season starts so I can make this white chicken chili. 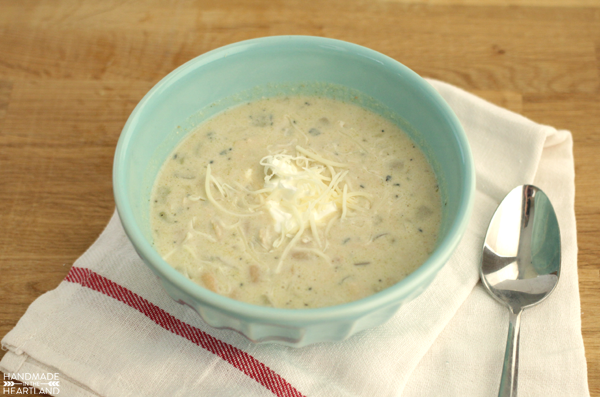 My friend Lindsay gave me the recipe and after a teeny bit of tweaking it is one of our all time favorite soups. Winter has arrived here in Kansas City, after spending 4 winters in Rhode Island I don’t find the KC winter to be all that bad. Don’t get me wrong we have bitter days but we get breaks here and there like tomorrow it is supposed to be in the 50’s! 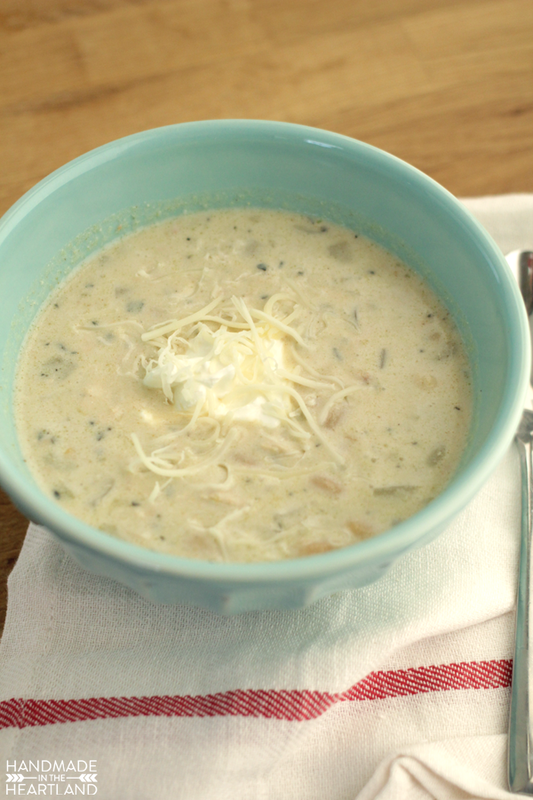 The colder temps give me the perfect excuse to make soup- comfort food at its best! In a large stock pot saute the onion in a teaspoon or two of olive oil until the onion is translucent, 5 minutes. Add in the spices and stir. Add the green chilis, beans and broth and bring to a simmer. Let soup simmer for 10-15 minutes and then add the chicken. Cook for another 5 minutes and then add the sour cream and whipping cream. 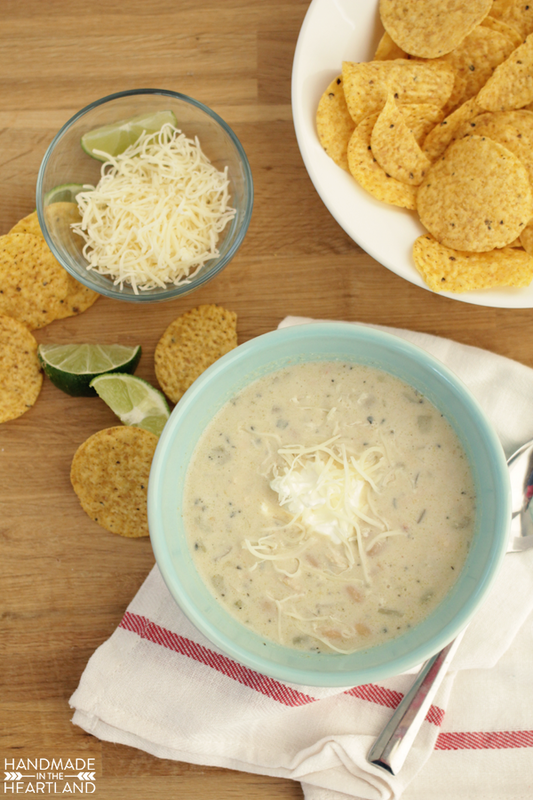 Stir to combine and serve warm with shredded cheese and tortilla chips. If you make this please let me know! I love to see it when you make recipes from the blog! Share it with me in the comments or tag me on Instagram (@handmadeintheheartland) or facebook!